Over 65% of the electrical power in an LED light is converted into heat. 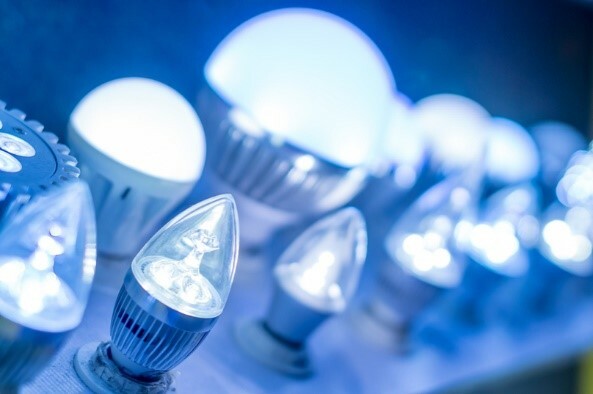 Heat sink turnkey manufacturing is one of the most efficient ways to cool LED lights. But which method and material should you use for your LED heat sink? Injection-molded thermoplastics and molded graphite heat sinks are relatively new heat sink materials. The primary benefit to using thermoplastic or graphite is their flexibility and light weight, so they are primarily used when the heat sink needs to be attached directly to the bulb. However, thermoplastic and graphite are less structurally sound than aluminum and can only be used to make small heat sinks. Aluminum castings are one of the most popular options for LED heat sinks. Manufacturers use different casting methods depending on the number of heat sinks produced and how detailed they must be. Sand castings are the simplest type of casting and are typically used for low-volume projects, such as small batches of street lights. Die castings can be more detailed and are more cost-effective for high-volume projects such as lights sold in a retail store. Aluminum-cast heat sinks have a set life expectancy, after which they must be replaced. Another popular choice for LED thermal management aluminum heatsinks is extruded aluminum. Aluminum extrusions can be up to 21 inches wide and have a fin ration of 19:1, allowing for more flexibility in the size and shape of the LED heat sink. Extruded aluminum heat sinks are also more conductive than castings, making them 53% more efficient. Looking for LED Cooling Aluminum Heatsinks Manufacturing? If you need aluminum heat sink suppliers for LEDs, Getec Industrial offers aluminum extrusion turnkey manufacturing and die casting heat sink manufacturing. For more information about our thermal management solutions, contact us online or call us at 888-000-8499.